Here is the comic book sales numbers for August 2015, which is happening right in the dead center of the Marvel Secret Wars event. 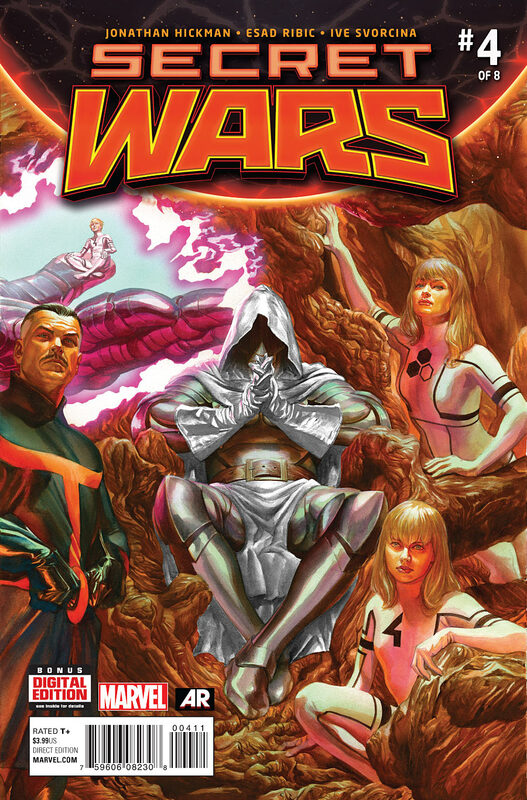 Not surprisingly, Secret Wars #4 is coming in at top, but its over 200,000 issue number is dramatic. What is surprising is to see Lando at number two, which shows how bullet proof Marvel’s Star Wars books are that even a marginal back-character can come out on top. Scott Snyder’s Batman returns to the top ten, though most of the top ten remains Secret Wars tie-ins that are new on the list. The biggest surprise of the top is Archie #1, which is the reboot of the classic character from Mark Waid and Fiona Staples. This has to be a surprise even for those at Archie that this is the best selling book they have released in several decades. This really does lend to the idea that Archie has a strong future, and along with their horror books, the ironic respinnings like Archie vs. Sharknado, and the new reboots, they can carve out a profitable niche. Mad Max Fury Road Max is again coming out at almost 80,000 issues, one of the best selling books from the Vertigo imprint in years. Invader Zim marks the most successful book that Oni has ever had, and the Star Trek/Green Lantern comic is taking an IDW book well over 60k issues. Check out the different books available and see what really surprises you.